My background is in API Design, Artificial Intelligence, Machine Learning, and Natural Language Processing. Land the Lunar Module on the surface without crashing. Just find a flat spot and tap to fire the rockets and slow down. The success of Flappy Bird inspired me to ask the question "How fast can I build the simplest possible game I would feel proud to put on the App Store?" Land the Eagle is the result. 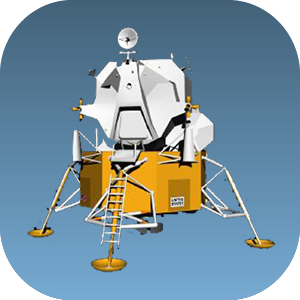 Land the Eagle is a simple simulation of landing a lunar module on the surface of the moon. Every time you tap, the engine on the lander thrusts, giving you a little boost. The goal is to find a flat spot to land. You have to do this before you run out of fuel. You must slow yourself down enough when you land so that you don't crash. It took probably around 24 hours (not in a row) to make the game from scratch. It's artisanally hand-coded using Sprite Kit for iOS 7. The graphics were all either drawn by me or modified from public domain imagery from NASA. No endorsement from NASA is implied by the use of the graphics. The image of the lunar module for the icon is 2.1 MB, which is about 80 times the amount of memory in the actual lunar module pictured. The sound effects and music were all created by me in a few hours. Tools used: Xcode, Adobe Fireworks, Adobe Photoshop, GarageBand. For more information, see GitHub. Babby Jotz is a simple app for helping you log data about how your child is doing. When taking care of a newborn, it can be challenging to keep track of how much they are eating and how well they are sleeping. It all seems like a blur. With Babby Jotz, you and your child's other caregivers can jot down quick notes about what they are doing at any time. There are special fields for feeding, sleeping, and pooping to make entering the most common types of data fast and easy. This data can then be shared with the other people you choose. Once you have collected the data, Babby Jotz provides several convenient visualizations, making it easy for you to get a big picture perspective on how your baby is doing at a glance. 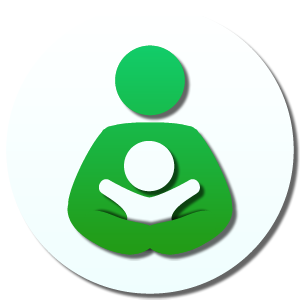 Support for breastfeeding, bottle feeding, and formula. Bar charts to help ensure your baby is getting enough food and sleep. Time visualizations to help you see how frequently/long your baby is sleeping. Cloud Sync, to share your baby with other caregivers and see each other's notes. Push notifications with cute emoji to let you know how your baby is doing. Supports multiple babies, with the name, birthday, and photo of each one. Dark theme, for entering data in a dark room while your baby sleeps. Are you tired of tiny, thin, gray text on websites that's virtually unreadable? BeefyText lets you set a minimum (or maximum) font weight and size for the page you are viewing, and lets you override the color of the text on the page. For more information, see GitHub or the Chrome Web Store.